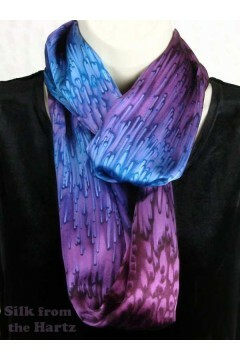 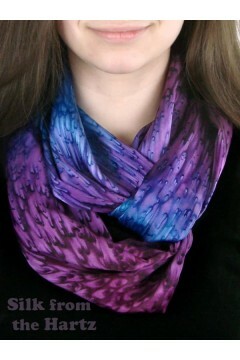 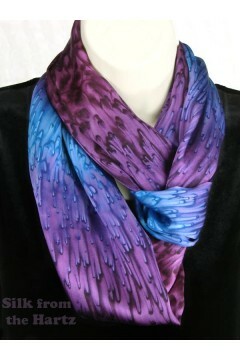 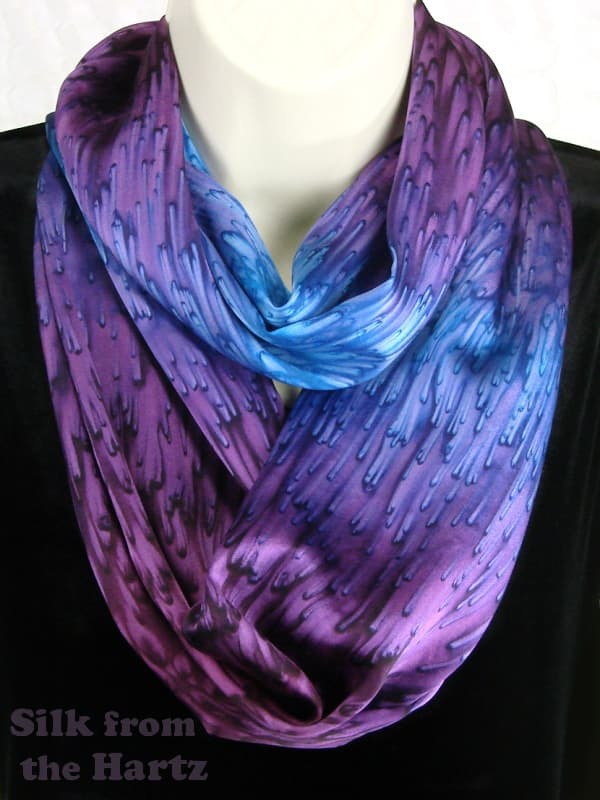 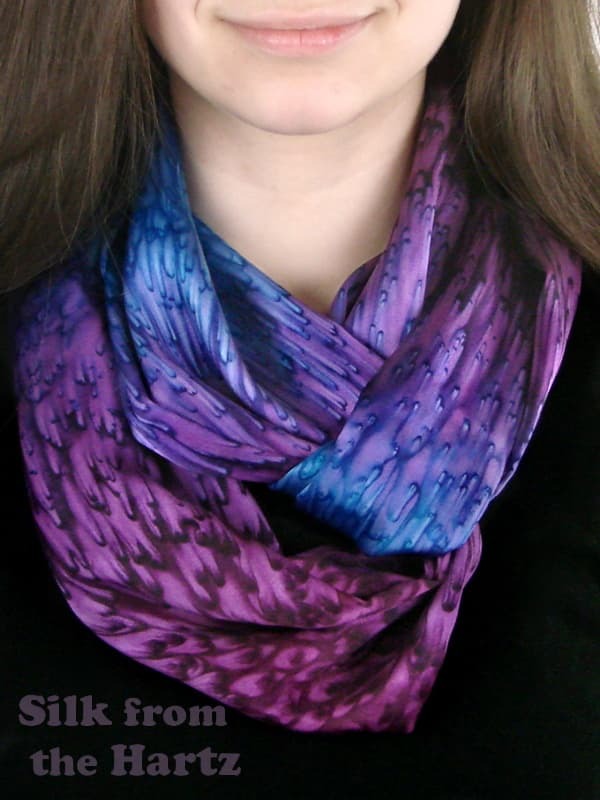 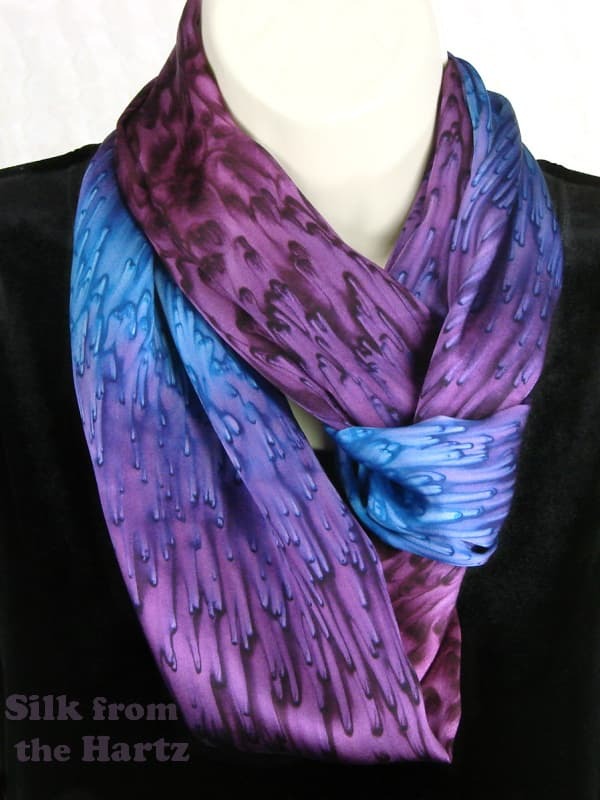 Professional looking silk satin infinity scarf in rich lavender and plum purple colors. 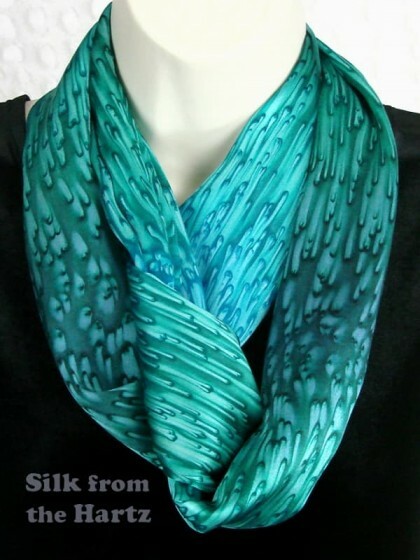 Drapes nicely in a cowl neck style, or wrap with a twist. 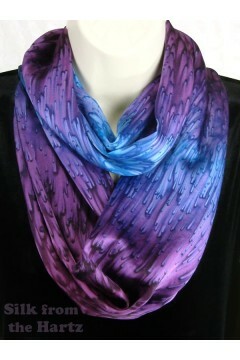 She'll enjoy this luxuriously soft and comfortable silk satin infinity scarf in beautiful purple colors. 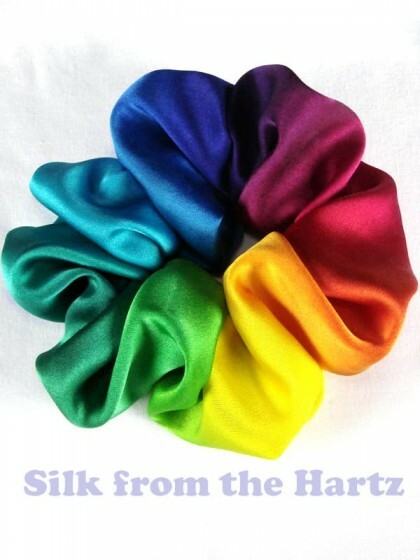 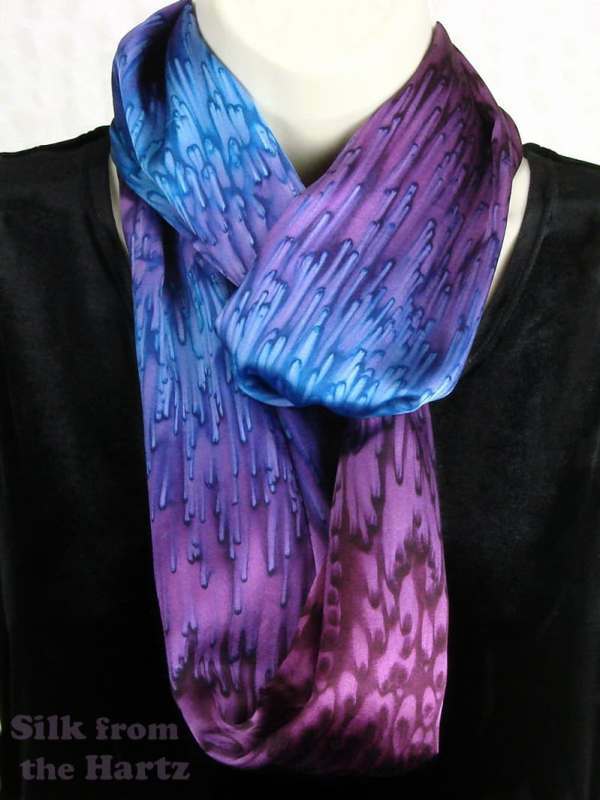 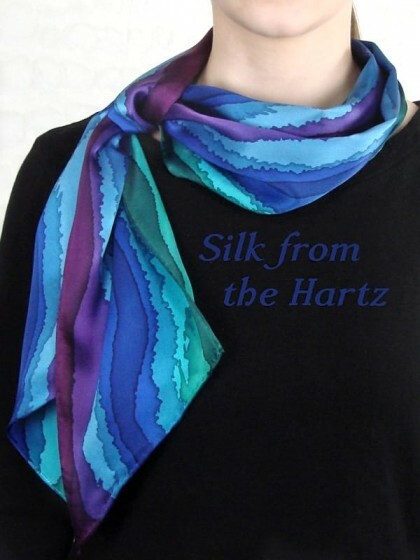 Our creatively hand dyed designer fashion is classy and makes an elegant gift for the wife. 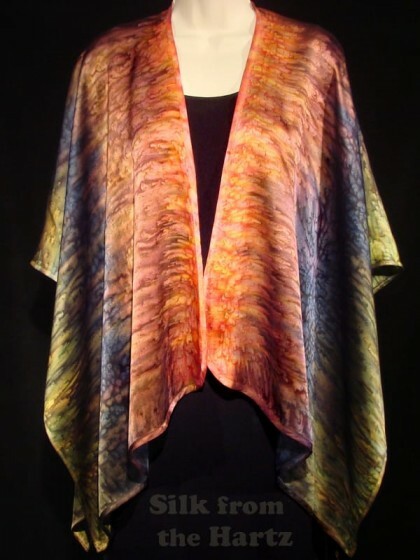 Elegant Fall Fashion Shawl In warm fall colors of peach, browns, denim and olive delightfully hand dyed on luxur..